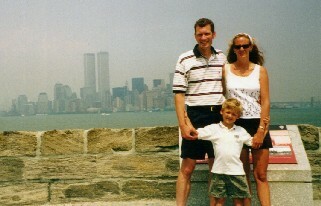 My son is missing from this picture (WTC in the distance). Fortunately, it's because he is taking the photograph. However, for thousands of families, children or parents are gone forever. We must never forget the price they paid.